An inducer motor and blower assembly is definitely one of those parts you don’t think about until something has gone wrong with it. 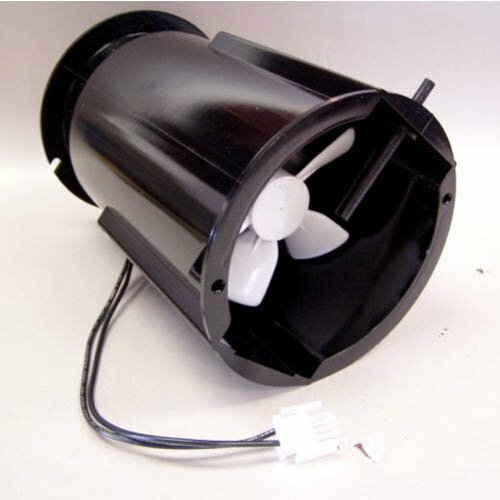 The inducer blower assembly consists of a small motor powered by electricity, a fan, an electrical box to allow connections, and a metal sleeve that surrounds the fan assembly. You’re probably not surprised that a fan is a part of the inducer blower (other than that “B” word in there! ), because you can actually hear the inducer fan whirring in the 30-60 seconds and blowing air before your furnace roars to life each time it runs. Unfortunately, these assemblies are one of the most common parts to fail on a furnace. It’s up there with thermocouple issues, and can be a wintertime nightmare when it comes time to heat your house. Here, we learn more about it and some ways to troubleshoot common problems. Why Is There an Inducer Motor and Blower in a Gas or Oil Furnace? While other checks and balances are being performed by your system during its start-up time (pre-purge) the draft inducer blower is in effect clearing the heat exchanger of any remaining gas left over from the previous cycle. In this sense, it aids in venting your boiler or furnace. This allows for cleaner air at the time of combustion. This is why sometime you’ll hear or see it referred to as an “exhaust venter”, or the exhaust vent motor has gone bad (let’s hope not in your case!). The draft inducer blower is also responsible for the quantity of air actually moving through the heat exchanger. This helps to move air efficiently and provides a more controlled method for air movement through the blower housing. As such it helps determine the efficiency of the system more precisely, in addition to help run your heating system safely. In terms of drafting, a draft inducer blower provides sufficient draft (just like the chimney in your fireplace that provides a draft), for clean and safe combustion. This clean combustion prevents burners from getting clogged with soot over time and creates a more balanced pressure in the combustion chamber. Problems with a Draft Inducer? Specific problems can arise with a furnace draft inducer. Unfortunately, you might be encountering one of them right now. For instance, if the blower motor has worn out, you will most likely hear it tapping or whizzing at higher frequencies and at louder volumes. Your furnace may also give you fault codes related to draft inducer blowers. This is always helpful to pinpoint the problem to the inducer motor in the first place. One common issue with any blower motor in HVAC systems is a bad capacitor. The capacitor is what helps supply power to the motor when it’s first starting up. If it can’t hold a store (or charge) of electricity, or enough charge it simply can’t do it’s job. The result is not enough juice makes it to the inducer motor, and it most likely won’t start up. Or, if it does, it’s going to be weak or start and stop repeatedly every 30 seconds or so. A quick test of your capacitor can tell you a lot. They are also cheap enough (usually around $10), and since they don’t last forever anyway you might as well start there and order a new one and replace it. And hopefully that does the trick and your heating system will be back in order. If you feel like your riding in an old locomotive when your furnace fires up, then you may have an issue with an unbalanced wheel in the draft inducer motor. Unfortunately, this can be a manufacturer’s defect if your furnace is newer. Otherwise, this can just be the age of the motor showing. You’ll need to access your motor assembly and investigate the wheel. Does is move freely? Does it wobble or does it spin “true” and with ease? You may need to remove the wheel from the motor shaft and replace, but with many motors this isn’t even possible and replacement is the only option. If replacing your capacitor does not affect your symptoms, then you may have to get a replacement motor. Unless you’re experienced with this stuff, it’s important to have yours replaced by someone with experience. And, in all instances, a draft inducer blower must be replaced with an exact model or type as the one originally installed. Look for an OEM model if possible — Check Amazon’s list here, as they have a lot of replacement inducer motor assemblies at decent prices. All wiring should also be identical when installing a new blower. Top manufacturers of inducer blower motors are Fasco, Lennox, Carrier, Miller and Fedders. Q. How Can I Better Care for My Furnace Components? A. This may seem like a general question, but it’s actually an important one when it comes to prolonging the life of your inducer motor. All parts eventually wear out. 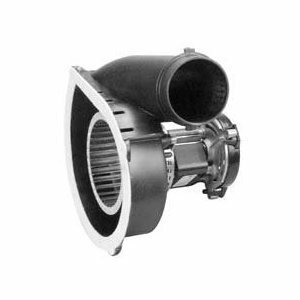 Some are sooner if not installed correctly, while others (especially blowers) will fair earlier than expect due to prolonged usage such as running constantly. One of the best ways to keep your system’s components running smoothly is to change your HVAC air filter regularly. Not doing so, can create extra and necessary heat to build up within your system. This heat is hard on motors, and in fact, it’s the number one reason inducer motors fail. Another issue that can cause extra heat is blocking too many registers inside your house. Hot hair needs to move along the duct work as it’s created in your furnace. If it can move freely enough, it builds up, and again, causes immense stress on the parts of your furnace. Unlike a car, you won’t find any antifreeze/coolant in your HVAC! Q. Can You Oil a Furnace Inducer Motor? A. In most cases an inducer motor is not the type of motor that you can add lubrication to the same way you would other motor types. If you can get to where you can pull out the motor itself you’ll most likely not see oil ports on it. This type of motor has sealed bearings inside generally. That said, look closely and you should see at least one felt pad. Oftentimes, this will be white in color. There is one in front and one in back. The one in the rear can be accessible to accept oil, whereas the one up front is hard to access – you could probably run a needle through a vent hole and inject oil on it that way. If you can saturate these pads with oil, it should transfer inside to the ball bearings. If your inducer motor squeaks or has a high pitched rubbing-like sound, this way of lubricating may help. Q. Why Does My Inducer Motor Run Continuously? First, check that the thermostat is not faulty and keeping itself on – the easiest check is to use a multimeter and check for voltage on the “W” terminal on your furnace control board. If it’s receiving 24V, then your problem is most likely with the thermostat. And honestly you’ll know this is happening since your heat will be running as well, and not just your inducer motor. The other culprit could be your electronic control board itself. If the relay (essentially it’s onboard on/off switch) is stuck on then you’ll have to replace the board. Amazon carriers some common OEM control boards for pretty much any brand like Goodman, Bryant, Amana, Lennox, Trane, Rheem, Coleman, Carrier and many others. In a lot of cases it will be an upgraded board so it’s to your benefit to replace anyway. There may also be other issues that the board is detecting to tell the draft blower to stay on, such as an “open safety” situation. Check for any fault codes on your furnace’s LED light as this can tell you a lot if this is the problem. Q. How Long Should An Inducer Motor Run? A. Simply put, an inducer fan should start up when your thermostat calls for heat. It will do this anywhere from 30 seconds to one minute. It then stays running for as long as your system is heating the house and shuts off when your system cycles off.